Hyperion Books for Children, 9781423103004, 64pp. Mo Willems (www.pigeonpresents.com) is New York Times best-selling author and illustrator of picture books and early readers that have changed the face of children's literature. He has been awarded a Caldecott Honor on three occasions, and two of his Elephant and Piggie early readers have received a Theodor Seuss Geisel Medal. His most recent picture book is Naked Mole Rat Gets Dressed, of which Bulletin of the Center for Children's Books wrote: "Willems continues to be a master at conveying an amazing amount of emotion and humor using . . . minimal elements" in a starred review. This is the first book he has written and not illustrated. 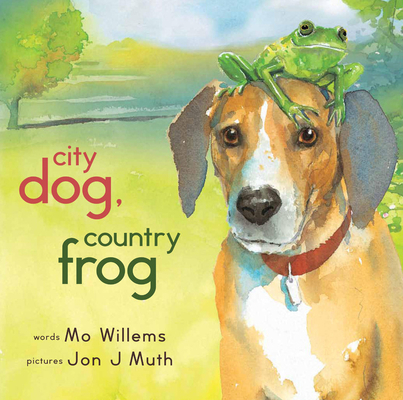 Jon J Muth is the author and artist of the New York Times best-seller and Caldecott Honor book, Zen Shorts. He has illustrated many award-winning books, including another New York Times best-seller, A Family of Poems, by Caroline Kennedy He is also the writer and illustrator of The Three Questions, which the New York Times called "quietly life changing."